Tonight I finished some terrain pieces for my 15mm sci-fi project. 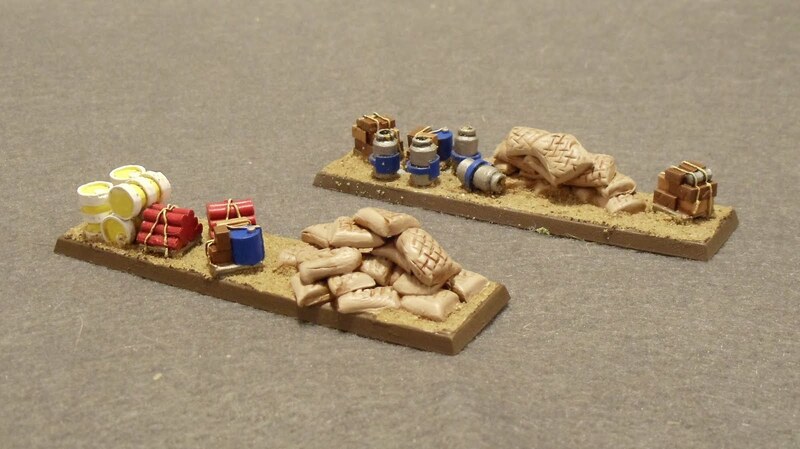 First up is a couple of pieces that could be supply objectives or possible barricades. 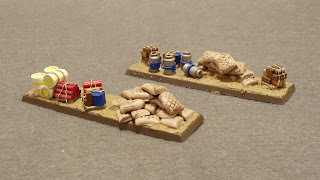 These pieces are from Ground Zero Games except for the sandbags which are just 'green stuff'. Next up is a set of military type buildings. 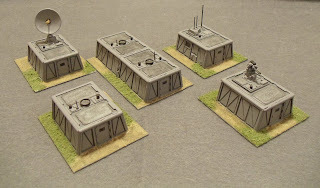 These metal pieces are also from Ground Zero Games and is the full Base Module set. Next up is a batch of 15mm infantry which I should finish tomorrow. After that is a lone ship for Full Thrust and then probably some more infantry and maybe some vehicles.